Like any baby horse, a newborn Pegasus has very long legs and can walk just a few moments after birth. In the case of Pegasus, the babies can also fly just hours after birth. 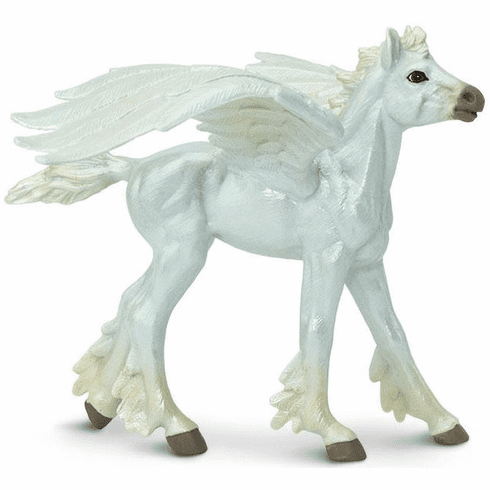 The line of Pegasi is full of adventurous winged horses, many of them bright white. Approximate size in inches: 3.94 L x 5.02 W.